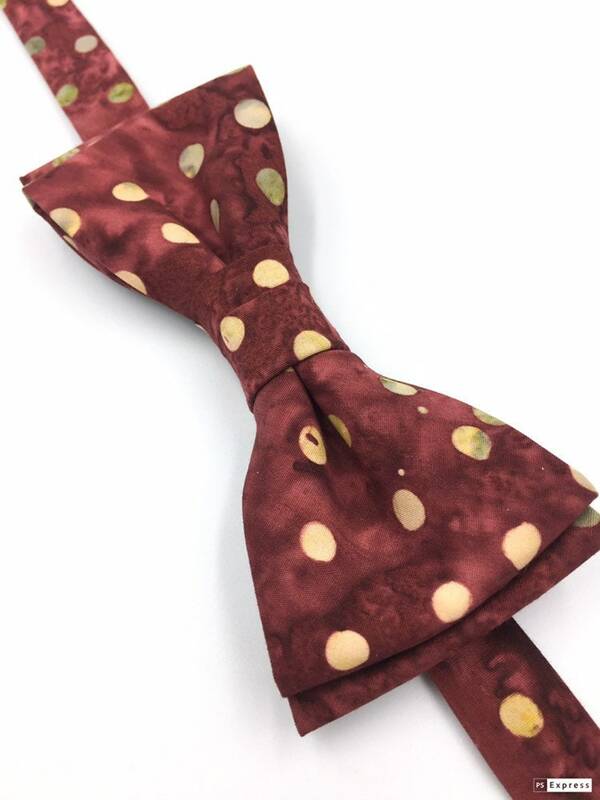 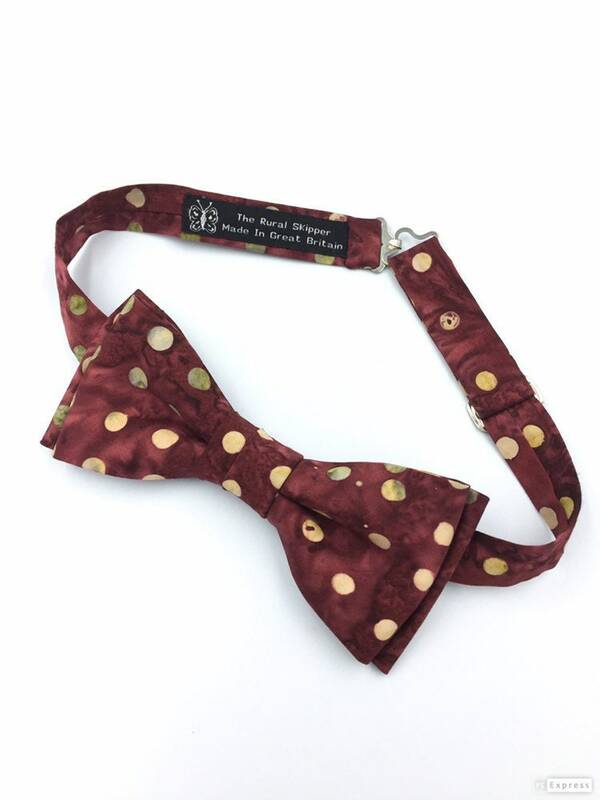 Burgundy spotted cotton bow tie, burgundy polka dot bow tie. 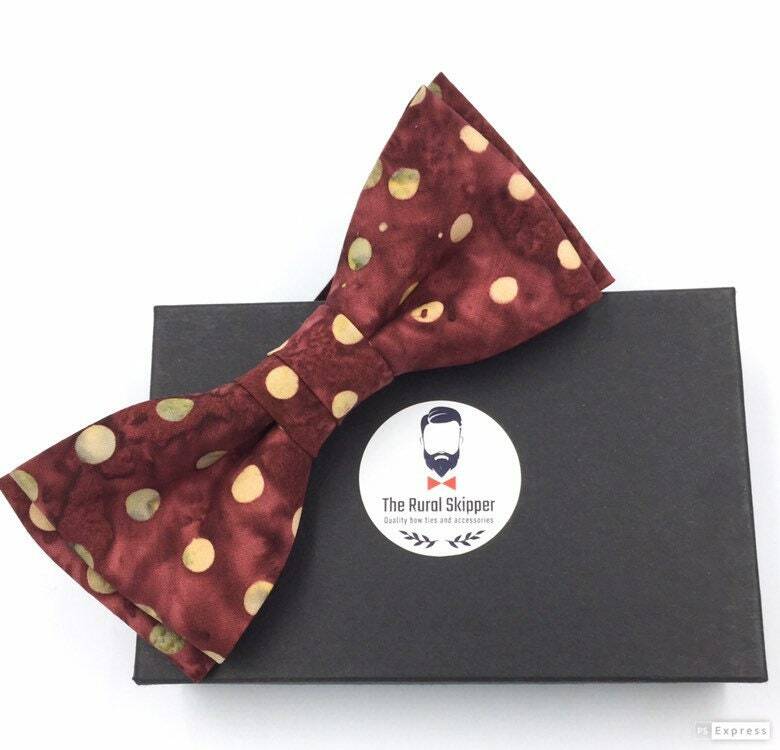 A handmade slim-line design bow tie using quality hand-printed cotton. 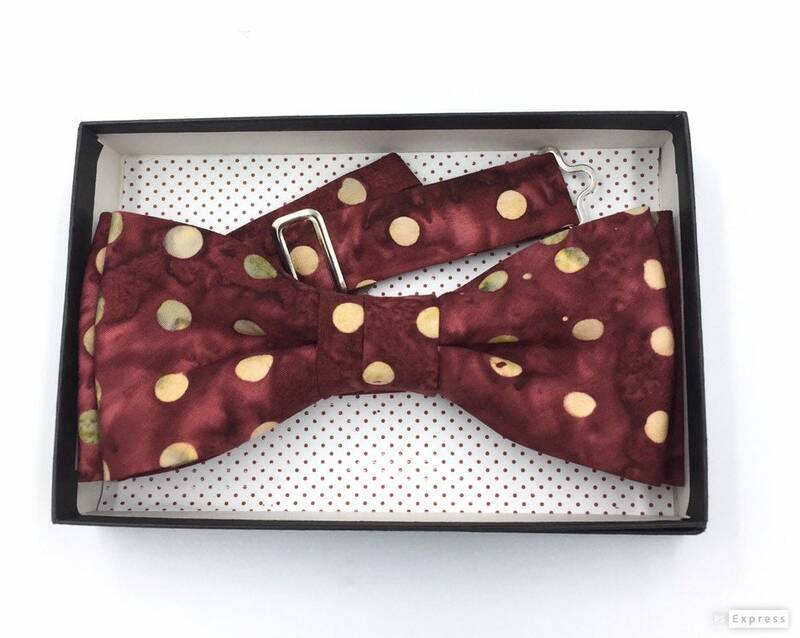 Individually sewn using traditional couture methods of tailoring which ensures this bow tie keeps its shape.
. approximate length 15cm height 5.5cm, neck strap 33cm to 53cm.